A soft pumpkin cookie, a few chocolate chips, and cream cheese filling. What does that spell? F-A-L-L. These pumpkin whoopie pies look delicious and will be making an appearance at our house soon. 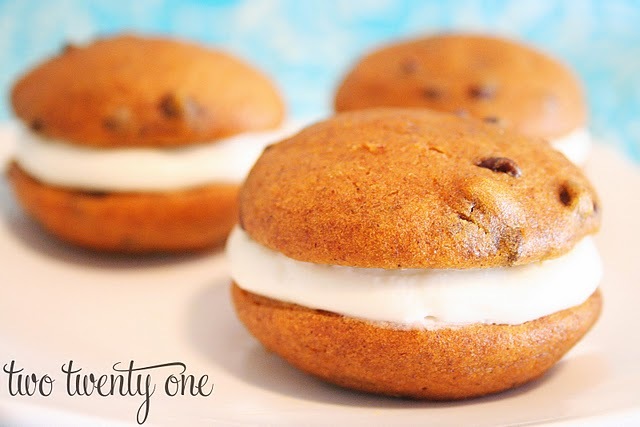 You can get the pumpkin chocolate chip whoopie pie recipe over at Two Twenty One. Thanks for featuring my whoopie pies, Lorie!